Many believe that wills are for rich people. 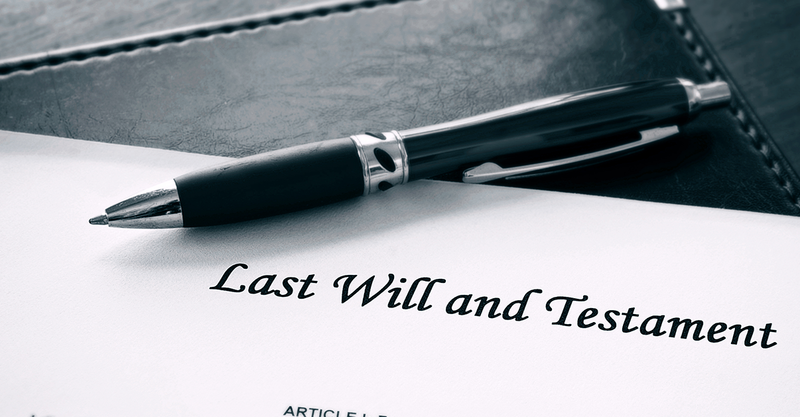 As a result, the Master of the High Court reported recently that about 70% of working South Africans don’t have wills. Executive Head of Indwe BlueStar, Danie van Niekerk, says you need a will as soon as you own some kind of asset, even if it’s only a bank savings account. “Your will enables you to determine which people will receive that money in your bank account and any of your other assets, when you pass away,” van Niekerk explains. Even if there are no family politics about who will inherit your belongings, everything you leave behind, including money in your bank accounts, requires some sort of legal process to transfer it to a new owner. When a person dies without a will, everything they owned is distributed to family and relatives according to the Intestate Succession Act. The way in which your assets are distributed may not be to your liking at all, which is why it is critical to have a valid will in place if you want to have the last say in who will get what. Van Niekerk explains that even in the prevailing economic climate where many people may not have any net assets or money saved, a will is still crucial to deal with work benefits. If a person is a member of a retirement fund, some of their retirement savings may be paid into their estate when they die. This is especially true if you do not have any minor children dependent on you. Lastly, there is one thing South Africans have in common regardless of whether they have few or sizable assets – debt. Just think about your bank-financed vehicle or a home loan mortgage bond. When a person passes away, their bond needs to be settled. “Most lenders will require this. So the property will have to be sold to pay off the debt and accumulated interest. Your family or nominated heir will only receive the net proceeds of the sale, if any. It is therefore essential that you have a life insurance policy that will be payable to your estate to settle the bond. Speak to a qualified financial planner to understand how you can do this as part of your estate planning,” van Niekerk concludes. If you have any questions about creating a will, speak to your Indwe BlueStar adviser on 011 831 8000.